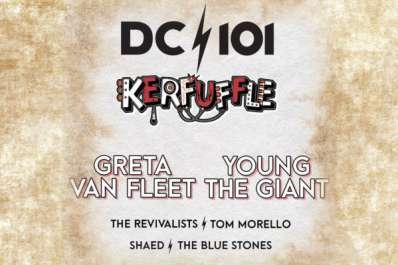 DC101 Kerfuffle is happening again this year at Merriweather Post Pavilion! Come out on Sunday, May 19 to watch performances from Greta Van Fleet, Young The Giant, The Revivalists, Tom Morello, SHAED, and The Blue Stones! Doors open at 4 p.m.